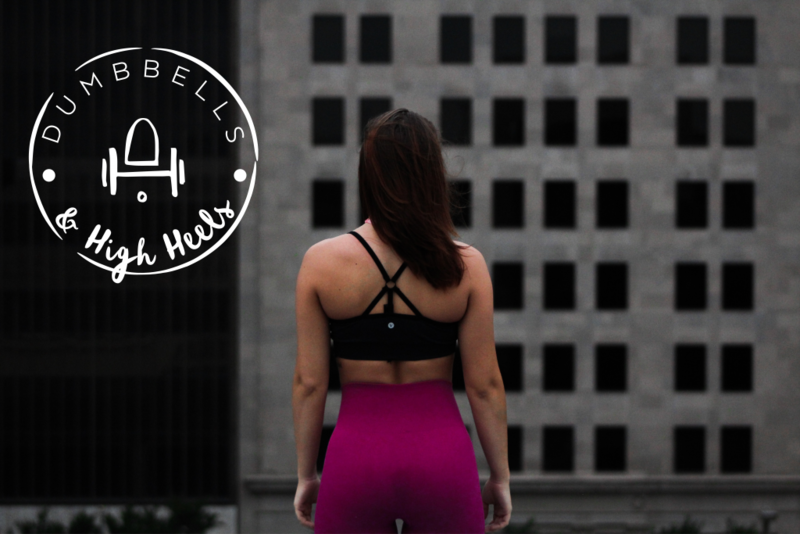 Dumbbells & High Heels was created by Laura Jackson; a Toronto-based journalist who recognized the need for a fresh new online resource that could empower and inspire women to live their best life. After experiencing her own personal transformation over six years ago, Laura made it her mission to help and inspire others. She believes it was her decision to enter a fitness competition that ultimately improved her confidence, self-esteem and body image. Once she proved to herself that she could accomplish her goal to lose weight, gain lean muscle and showcase her hard work on stage in front of hundreds of people, she felt compelled to share her story. In fact, she says the “icing on the cake” was the professional photo shoot she did after the competition. This experience was life changing in that she was able to see herself in a whole new light. She felt beautiful, strong and empowered. Today, Laura wholeheartedly believes that when we look and feel or best we can give so much more of ourselves to others. In her opinion, one of the fastest ways to improve our self-image is through fitness, fashion and beauty. As a lifelong learner, Laura holds a Master of Arts degree in Journalism from the University of Western Ontario; a Certificate in Public Relations from Mohawk College; a Bachelor of Arts degree in Radio and Television Arts from Ryerson University; a Copy Editing Certificate from Emerson College and a Bachelor of Arts degree in Women’s Studies from the University of Western Ontario. Laura’s passion for wellness eventually led her to a career in health, fitness and nutrition. She is also a Certified Personal Trainer Specialist (Can Fit Pro), Level 1 Precision Nutrition Coach, Culinary Nutrition Expert and a 15 x Figure Competitor. Laura created Dumbbells & High Heels as a way to combine what she loves to do most, while providing a credible, go-to online resource for women.